The big announcement press conference tomorrow, March 31, from the leading staff of the San Francisco Film Society at the Fairmont Hotel will unveil the full line-up for the 59th SF International Film Festival. 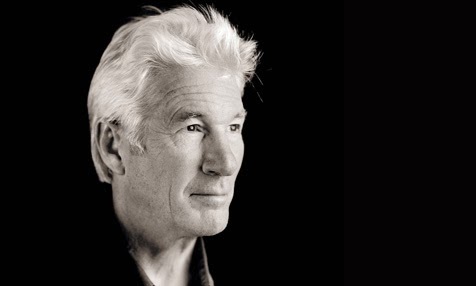 We know that the opening night film is the doc "Steve Jobs: The Man in the Machine", closing night is the feature "Experimenter", and iconic actor and human rights advocate Richard Gere will receive the Peter J. Owens Award before his latest film "Time Out of Mind" is screened. For me, the festival is always a cinematic cornucopia and a highlight of the Bay Area's robust film cultural offerings. I've compiled a list of works on my wish list and hope to be at the presser on Tuesday and hear that these films will unspool during the festival, which runs from April 23 through May 7. More info here. 1) "A Pigeon Sat on a Branch Reflecting on Existence", by Roy Andersson, Sweden. His earlier work, "You, the Living", was one of the highlights of 2008 festival. His latest is another deadpan look at humanity. 2) "Clouds of Silas Maria", director Olivier Assayas, France. One of France's always intriguing actresses Juliette Binoche stars as an ageing actress facing the challenges of her waning career. Even with a U.S. distributor, the film hasn't played in theaters. 3) "From What is Before", director Lav Diaz, Phillipines. This latest epic of his runs just over five-and-a-half hours, all about a barrio's citizens and troubles before strongman Ferdinand Marcos declare martial law. The only chance to see it will be through the auspices of the Film Society. 4) "Hard to be a God", director Aleksei German, Russia. A master filmmaker shamefully not receiving the attention he deserves from American audiences. This is his final film made before his death and is based on a classic sci-fi story that is sure to dazzle the eye. 5) "Horse Money", director Pedro Costa, Portugal. A followup to Costa's trilogy about poor residents of a public housing complex, his newest film concerns the protagonist Ventura of "Colossal Youth" as a political revolution unfolds. 6) "Pasolini", director Abel Ferrera starring Willem Dafoe, France/Belgium/Italy. I don't care about the plot or early reviews. Any look at the life of Piers Paolo Pasolini, much less one directed by Ferrera and featuring Defoe is a must-see and very unlikely to play outside the festival circuit. 7) "Winter Sleep", director Nuri Bilge Ceylan, Turkey. Another look at the divide between rich and poor in Turkish society, it won the 2014 Palm D'Ore at the Cannes Film Festival. There was a short run in New York last year, but the distributor has not booked the film for showings on the art house circuit beyond Manhattan.